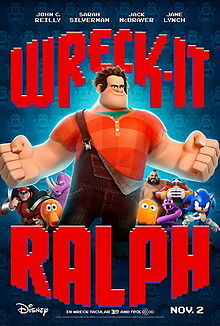 Wreck-It Ralph is a movie from Disney about a video game villain who wants to be a hero. It deals with themes of diversity, judgment, bullying and self-acceptance. It can be a good way to teach children how to appreciate the differences in the others around them. These Scriptures speak to some of the themes of the movie. Read one or more to give a biblical basis for the teaching. Why didn’t the townspeople let Ralph live with them or participate in their activities? Are there people in our own community who get treated like Ralph? Why or why not? How do you think the townspeople should have treated Ralph? In the “Bad-anon” meeting, the video game villains said that you can’t change if you’re a bad guy. Do you think this is true? Why or why not? Do you think Ralph had a good reason for wanting to earn a medal? Why or why not? How do you feel about the way all the other racers treated Vanellope (“the Glitch”)? What is similar about Vanellope and Ralph? How did the thing that made them different from everyone else become the greatest strengths for Ralph and Vanellope? What did the townspeople and the other racers learn about how to treat someone who is different? How should we treat people in our lives who are different from everyone else?